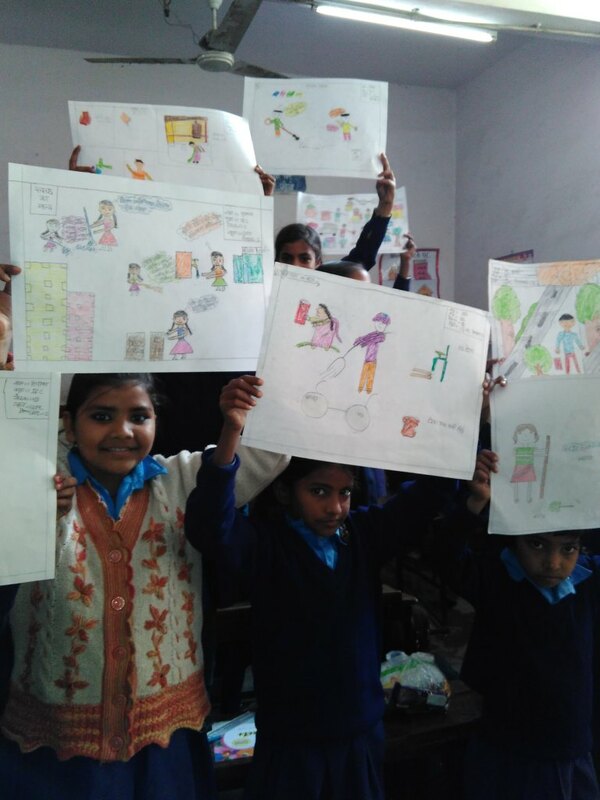 A drawing and sketching event filled with colour and vibrant ideas freely explored by children was held for MCD primary school girls in Gautampuri MCD School and Molarband MCD School in February 2016.High quality crayon and stationery was given to the children in both schools. The events were aimed at fostering an enduring interest among the school girls, mostly first generation school going children, on critical issues like sanitation and hygiene so that right from their early years, the knowledge and practice of safe sanitation and hygiene practices is promoted. They would then take back these messages to their homes as well as into their adulthood. Towards underlining the importance of clean drinking water through a healthy non-plastic option, Indraprastha Apollo Hospitals distributedhigh quality steel water bottles to 655 girl students, teachers, principal and attendants of Molarband MCD school in December 2015.